Mike McCabe worked with Frank Carson in the 1970s so it's perfectly fitting that he should portray the jolly Ulsterman in this comic play about his life and death. If I Didn't Laugh, I'd Cry probably exists better in the Comedy section rather than in Theatre because McCabe uses much of his hour simply regurgitating Carson's jokes and those of his fellow pals on ITV's The Comedians: McCabe also becomes the jittery Ken Goodwin, the gruff Bernard Manning and the very Scouse Stan Boardman, though the material he repeats here barely registers as old-school offensive. This is a curious decision given that McCabe / Carson speaks out at the PC warriors who apparently ruined comedy yet he refuses to follow it through by spilling it all out onto his stage in order to let us decide. Later, Carson denies that his humour showed traces of prejudice, and that he was actually making jokes about prejudice (which is more or less one of the ingredients of political correctness). When it comes to looking back on a famous comedian's career, there's always a tendency to explore their original motivations. Carson appears to have used laughter as a means of drowning out the screams in his head from having killed a man during warfare and coping with the early death of a beloved sister (McCabe needs to have a word with his stage manager who dug out a framed photo of a young girl that Carson continually refers to but who is clearly from the 21st century). 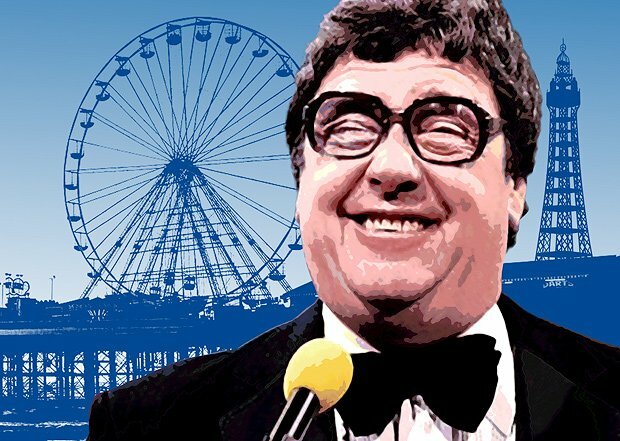 This is a show for diehards of Frank Carson's punchline-fuelled comedy as well as the brand of funny folk who claim to have been victims of alternative comedy's reassembling of the rules. Sadly, given the poor numbers in attendance, Mike McCabe may have over-estimated that actual audience. Gilded Balloon Teviot, until 28 Aug, 12.15pm, £10. Mike McCabe Mike McCabe (who worked with rapid-fire gagster Frank Carson in the 1980s and 1990s) reveals the man behind the mask – memories of the legend who (according to Chris Tarrant) never switched off, even when he was asleep! Was the key the moment when Frank shot and killed another man? It's the way he tells 'em.